Instead of £181.00. You save £9.05 due to the online discount . 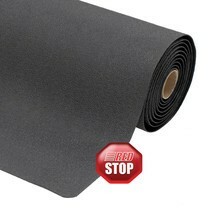 The wear-resistant anti-fatigue mat made from PVC (polyvinyl chloride) ensures an ergonomic workstation design. 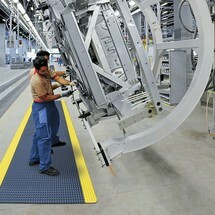 On the mat, your employees are able to stand comfortably and in a way which protects their body. 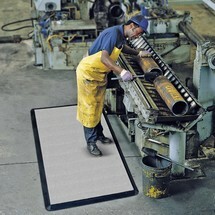 Your employees stand safely and comfortably on the anti-fatigue mat. Swollen legs are prevented by the ergonomic relief of strain. 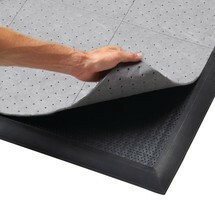 The work mats are ideal for dry floors. 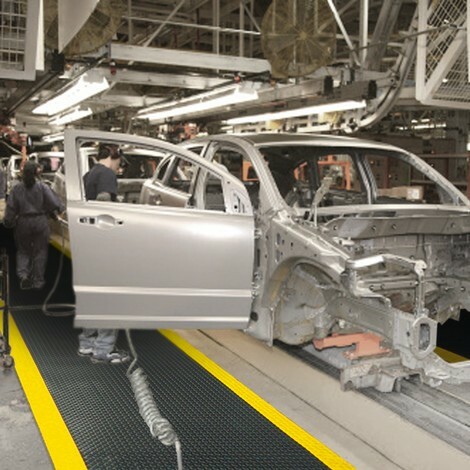 The anti-fatigue mat is composed of 2 layers. 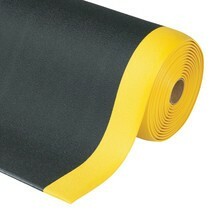 The laminated surface is made from wear-proof and flame-resistant PVC. The underside is made from thermoplastic foam vinyl which does not contain DEHP (plasticiser diethylhexyl phthalate). 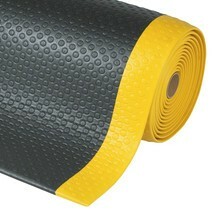 Tapered edges ensure the mat can be walked on without tripping. 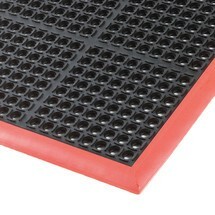 The diamond pattern has a non-slip effect and guarantees a secure footing. Depending on the version, the maximum roll length is 22,800 mm. The mat height is always 14 mm. In our product range, you can also purchase this product by the metre. 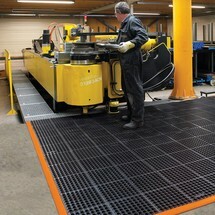 Order the anti-fatigue mats for industry and trade from us here.